*360,000 Btu/hour from nozzles supplied – range of larger nozzles available. 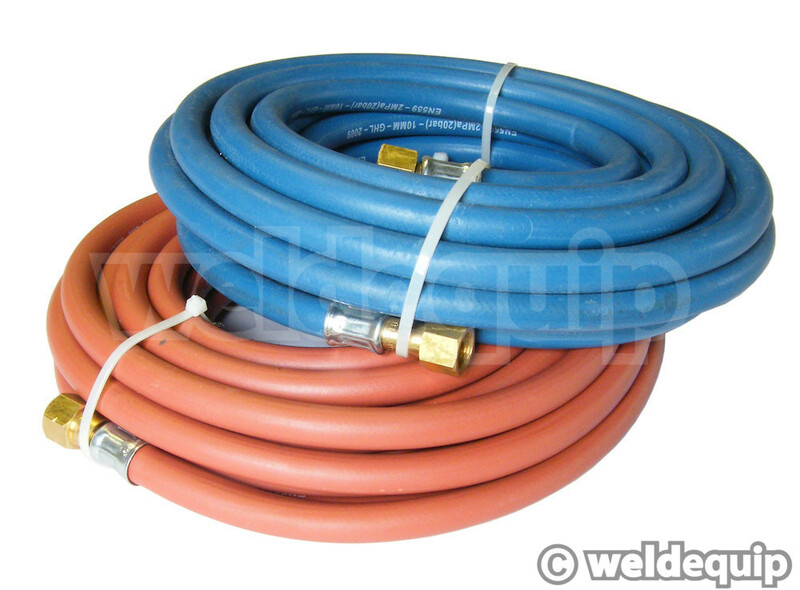 Premium quality British made gas hand equipment for industrial & workshop heating applications using Oxygen & Propane gas cylinders (not supplied). 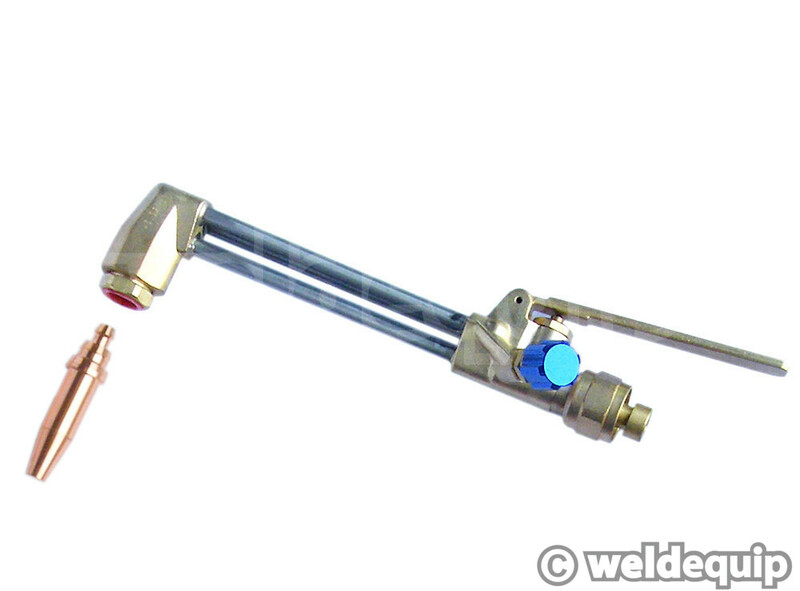 Employing the ‘Super-Heating’ propane gas mixer, stainless steel heating neck, and H Series Super-Heating nozzles fitted on to a standard Type 5 heavy duty gas torch. 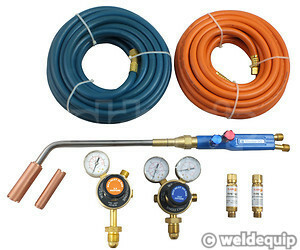 Ideal for rapid heating of larger areas, weld pre-heat etc. Cutting of up to 150mm (6") mild steel can also be performed with the optional Cutting Attachment, and a range of other accessories are available to make up a very versatile, heavy duty gas Heating, Cutting & Brazing set. Gas regulators are standard connection for portable & industrial size Oxygen & Propane gas cylinders.